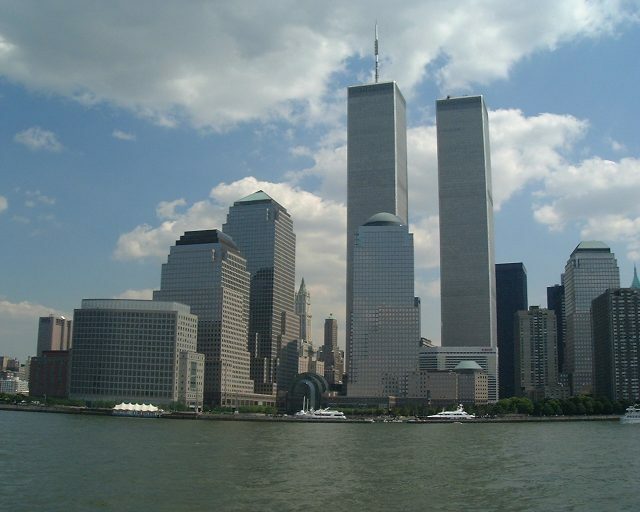 As police and fire departments across the country remember those who died as a result of the Sept. 11, 2001 terrorist attacks, the Commonwealth is remembering the 206 who lost their lives as a result. 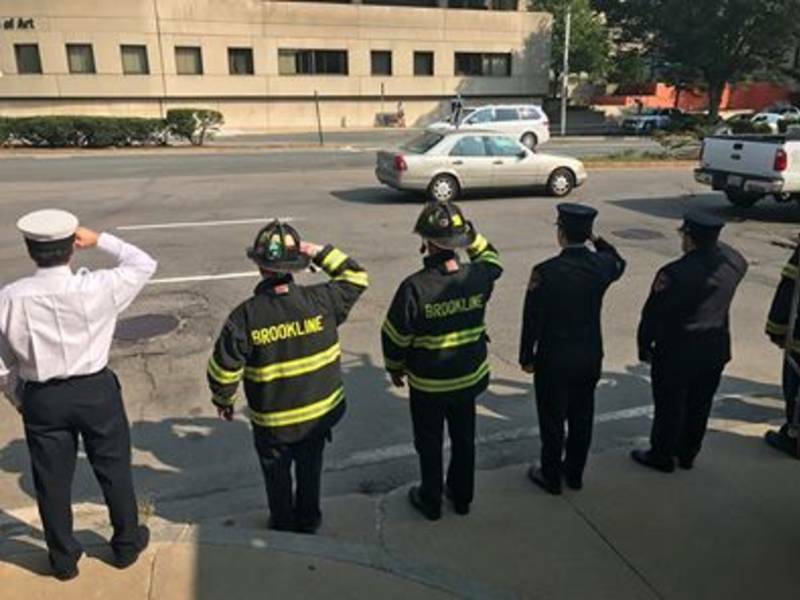 In Brookline, the fire houses planned to have a moment of silence at 9:55 a.m. The state house will lower the flag and then read the names of those lost in the attacks 16 years ago. Logan airport held a minute of silence at 8:46 a.m. to remember those aboard the two hijacked planes that took off from Logan. The Governor and Boston Mayor Walsh will go to the Boston Public Garden this afternoon, where a tree was seeded from the 9/11 Survivor Tree and given to the City of Boston. At least three people with Brookline connections died in the attacks. Christine J. Barbuto, was 32 when she died aboard one of the planes. Her obituary noted the Brookline resident had achieved her goal to become a TJX Co. ladies sportswear buyer and was on a business trip to California with co-workers when they crashed into the Trade Center aboard Flight 11. She was survived by her father and two sisters. 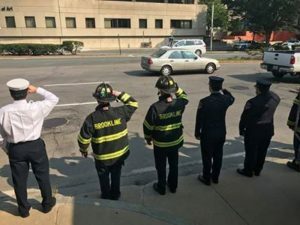 Manuel Del Valle Jr, a 1988 graduate of Brookline High School and a New York City Firefighter, Manuel Del Valle Jr. Manny was assigned to Engine 5 on September 11, 2001 and was one of the first fire companies to respond to the World Trade Center. A bench was dedicated in Manny’s memory on the front lawn of Station 5 in Coolidge Corner in 2011. Karleton Fyfe was a 31-year-old John Hancock employee and father of 1-year-old Jackson. Fyfe’s mother called his Brookline home on that Tuesday morning, according to his obituary. She had seen the news of burning buildings and wanted to make sure her only son was not inside his 56th floor office in Boston. He wasn’t, Fyfe’s wife, Haven, assured her mother-in-law. He was on an airplane on a business trip. It was American Airlines 11.